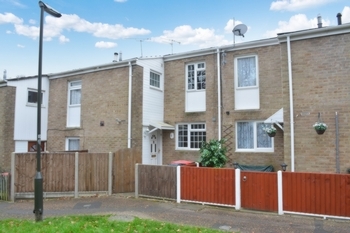 GUIDE PRICE £230,000 - £240,000 INVESTORS ONLY PROPERTY BEING SOLD WITH TENANTS IN SITU RETURNING 5.48% YEILD. 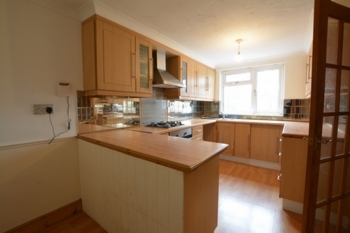 A spacious three bedroom terrace home with lounge, kitchen/diner. White suite bathroom and a rear garden. 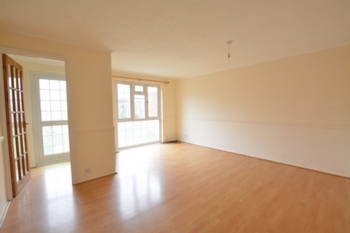 Close to EXCELLENT bus routes, local amenities schools. For investment purchase only. 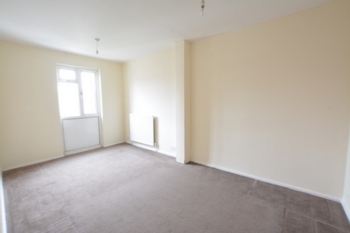 Being sold with tenants in situ returning a 5.48% yield. This middle terraced house situated in the neighbourhood of Broadfield offers excellent value for money. The ground floor accommodation comprises an entrance hall, cloakroom, a kitchen / breakfast room to the front, lounge / dining room with a picture window to the rear and a door to the rear hallway which in turn opens to the rear garden. On the first floor there are two double bedrooms, a third bedroom and a bathroom fitted with a white suite. Outside the front garden is paved with slate chippings. The rear garden has paving and lawn and a brick built store. Double glazed front door opening to porch with door into the entrance hall with stairs to the first floor. 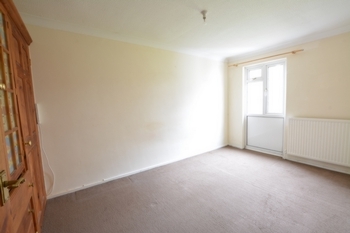 Doors to lounge / dining room, kitchen / breakfast room and: cloakroom fitted with a white low level w/c and a wash hand basin. The spacious lounge / dining room measures 15' 0" x 14' 1" with double glazed Georgian style picture window to the rear and doors to entrance hall and rear hallway with double glazed Georgian style door opening to the rear garden. The kitchen / breakfast room measures 15' 0" x 8' 2" and is fitted with a range of wall and base level units incorporating a single bowl, single drainer stainless steel sink unit with mixer tap. Built in electric oven and built in gas hob with hood over. Space for fridge / freezer and washing machine. Space for table and chairs. Radiator. Laminate flooring. Double glazed Georgian style window to the front. Door to entrance hall. Landing stairs from the entrance hall. Door to all bedrooms and bathroom. Bedroom one measures 15’ 0" x 8' 6" with double glazed Georgian style window overlooking the rear garden. Bedroom two measures 14' 6" x 8' 6" with double glazed Georgian style window to the front. Radiator. Bedroom three measures 11' 7" x 5' 5" with double glazed Georgian style window overlooking the rear garden. The bathroom is fitted with a white suite comprising a panelled bath with mixer tap and wall mounted shower over, pedestal wash hand basin and a low level w/c. radiator. Airing cupboard housing hot water tank. Double glazed opaque window to the side.